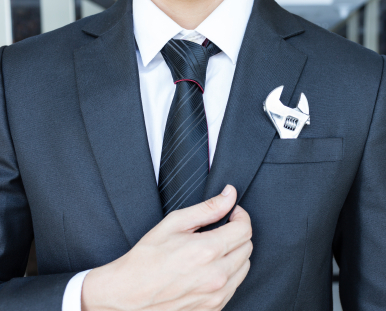 Has LinkedIn Thrown a Wrench in Your Executive Job Search? Worked for hours on your resume to add success stories and details, without so much as glancing at your LinkedIn Profile? If you’re not getting results, then your resume might not be the problem. It’s important in today’s digital sourcing world to pay as much (if not MORE) attention to your LinkedIn Profile than your executive resume. Here’s why: according to this ERE.net survey, 94% of recruiters and HR professionals use LinkedIn to identify optimum candidates at professional and executive levels (and these numbers are actually increasing!). Problem: You’ve taken very little time to update your LinkedIn Profile… and it shows. A bare-bones LinkedIn Profile not only looks as if you don’t understand social media (a career killer in promotional fields such as marketing and sales), but it also conveys your haste in putting in the minimum effort. Solution: Devote just as much time to prepping your Profile as your resume. You’ll need descriptions of each job dating back 10-15 years, with correct dates and job titles, to show alignment between your Profile and leadership resume. Pull in earlier work history if relevant, such as military leadership experience or career-building roles. In addition, your Headline, Summary, Education, Skills & Expertise, Certifications, and Contact sections must contain more data to be competitive with other job hunters. Ideally, you’d add Honors & Awards, Publications, Languages, and other details to support your record of qualifications. See my LinkedIn Profile for a fully-developed example of how to use as many sections as possible. Problem: Your LinkedIn Profile lacks a keyword strategy to help employers find you. When you add vague descriptions of your strengths (“accomplished leader” or “experienced IT professional”), you’re not conveying key elements of your personal brand – AND you’re not making it easy for recruiters to source you as a candidate. Solution: Tune your Profile to inject powerful keyword content – and focus on highly indexed fields. LinkedIn keyword strategy is imperative in drawing traffic! As a quick shortcut to amping up your keyword volume, take a look at your job-hunting competitor’s Profiles for ideas, and pull up job postings for your ideal role. Make a list of common skills, technologies, and in-demand competencies (SAP, Team Building, Project Management, Six Sigma, Budgets, P&L, etc.) from this exercise. Then, populate your LinkedIn Profile heavily with these words – paying special attention to your Headline and Job Titles. These fields are highly indexed in the site’s search algorithm, meaning that each instance of a keyword found in them ranks as if it were added many more times elsewhere in the Profile. Problem: Your LinkedIn Profile only reflects your past, rather than your career goals. Since you can easily walk through LinkedIn’s prompts to add details of your career history, you might not realize it’s possible to write a “forward-facing” Profile. Solution: Tuck notes on your aspirations into each corner of your Profile. A solution that works well even for covert job hunters, adding data on your career targets will signal recruiters to look more carefully. For example, you can use the Interests section to specify goals that also help your Profile rank higher for your desired position (“I’m continually interested in COO and VP Operations opportunities where I can put my training in Operational Excellence and Lean Six Sigma to good use”). Depending on how open you want to be in your Headline and Summary, you can list your next-level goals alongside your current role (“VP of IT, CIO, IT Director | Business-Focused, Responsive Support & Infrastructures in Hospital IT”). Bottom-line, you can’t afford to neglect LinkedIn when preparing for a successful executive job search! Invest the time, energy, and research needed to create a Profile that’s just as compelling as your executive resume. Need a competitive edge for your executive job search? As the #1 U.S. TORI award-winning executive resume writer, I create branded, powerful resumes and LinkedIn Profiles that position you as the #1 candidate – PLUS arm you with the job search tools that will get you hired faster. My clients win interviews at Fortune 500 firms including Citibank, Google, Disney, and Pfizer, plus niche-market companies, start-ups, and emerging industry leaders. Get in touch with me to experience the outstanding results my expertise can bring to your transition. Laura, this is a very comprehensive article on how to improve your LinkedIn profile. A huge project that you handled very well. Your message that executive jobseekers need to focus also on their profile, not just their resume, is well taken. One cannot have one document without the other (online document). Well done.